An interactive device representing hands-on information on micro-electromechanical accelerometers as used in smartphones and cars, the 'optomechanical technologies'. Such devices are commercially developed by BOSCH. The exhibit was developed by UHAM together with BOSCH. 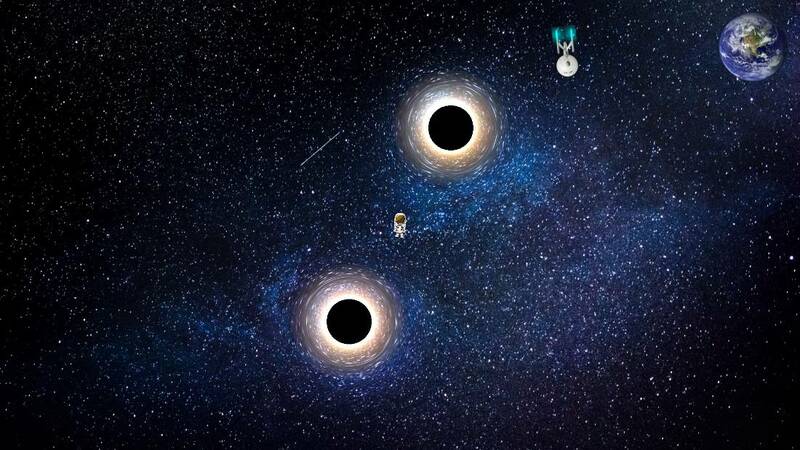 The device is a short video game called Save the Astronaut, whereby two black holes rotate around each other. Each black hole acts as a gravitational lens and moves the position of the stars in the background according to the Theory of General Relativity. Between the black holes is an astronaut, who was lost during a space-walk, and who will surely be swallowed by the black holes if not saved by a space ship. A visitor controls a steering wheel in his/her hands that allows to accelerate the space ship towards the astronaut and bring the astronaut safely back to earth. If the space ship comes too close to a black hole, however, it is stretched and swallowed. The exposition travels to different European cities within the consortium where the ESRs present the device at local events to demonstrate the importance and use of optomechanical technologies in our daily lives. The exhibit therefore targets parents together with their children, and young adults. 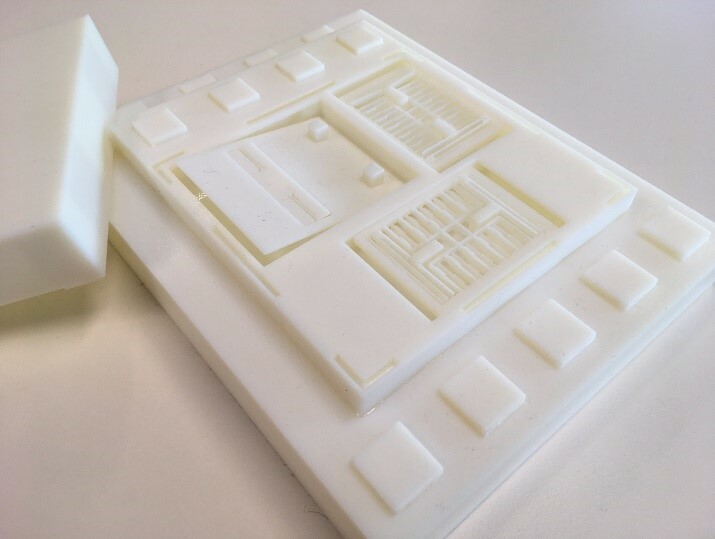 3D printed accelerometer developed by ESR Mohamed Ashour at BOSCH demonstrating a moving comb drive and proof-masses mimicking a 3-axial accelerometer. This is presented as a mock-up with the exhibit. Each ESR will construct her/his own small experiment based on PhD work as an initiation of public engagement. Each ESR must ensure that the OMT exhibit is displayed at host open days.